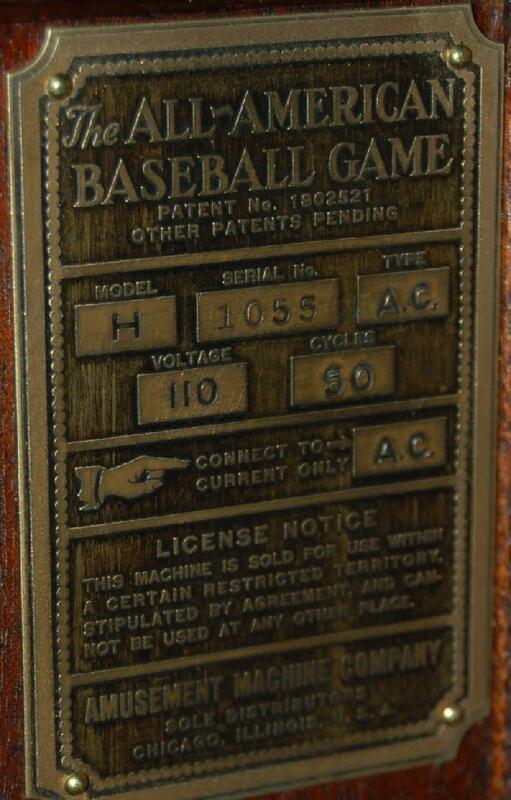 Description: All American Baseball Game, Amusement Machine Corp, made 1929 to 1931, one player, the game World Series 1937 by Rockola was based on and nearly a copy of, manikin playfield players. 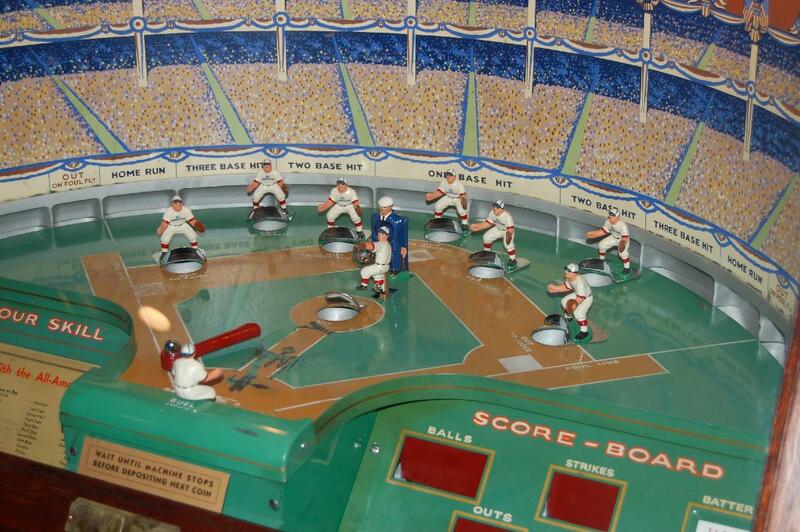 The "batter up" names included real ball players of the time, such as Babe Ruth. 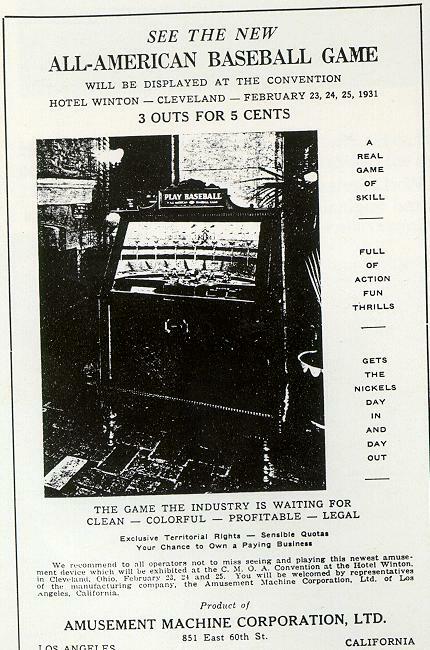 George Miner, the inventer of this game, sold all the rights and tool equipment to Harry Williams in 1931. 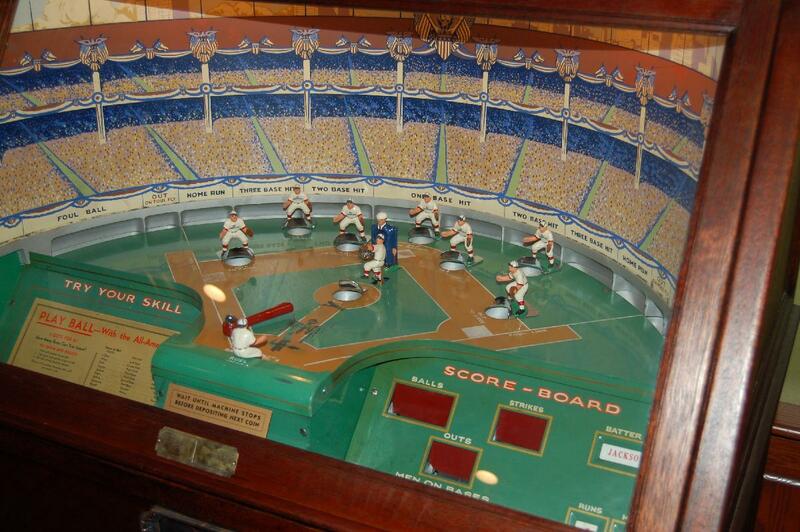 Miner sold to Williams because nickel play arcade machines (like his baseball) had died at the arcades, being replaced by penny pinball games. 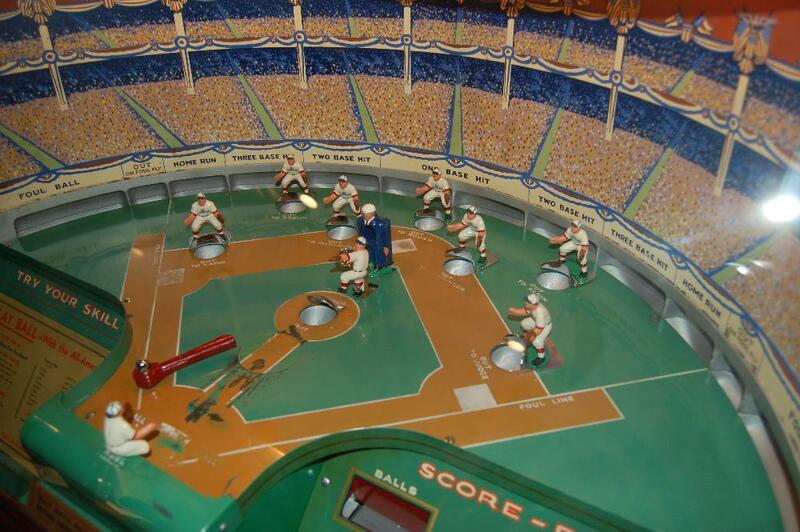 Harry Williams was hired by Bally in 1935, and Bally was going to remake the Miner baseball game. Miner was contracted by Bally to make some improvements, but was killed in an airplane crash on October 7, 1935. 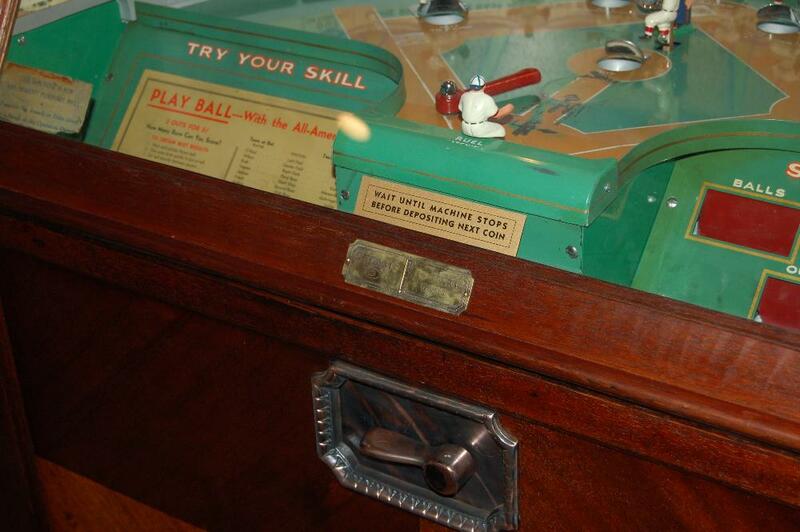 Then Rockola hired Harry Williams as chief pinball engineer, and along with Harry Williams came the Miner All American Baseball patents and tooling. 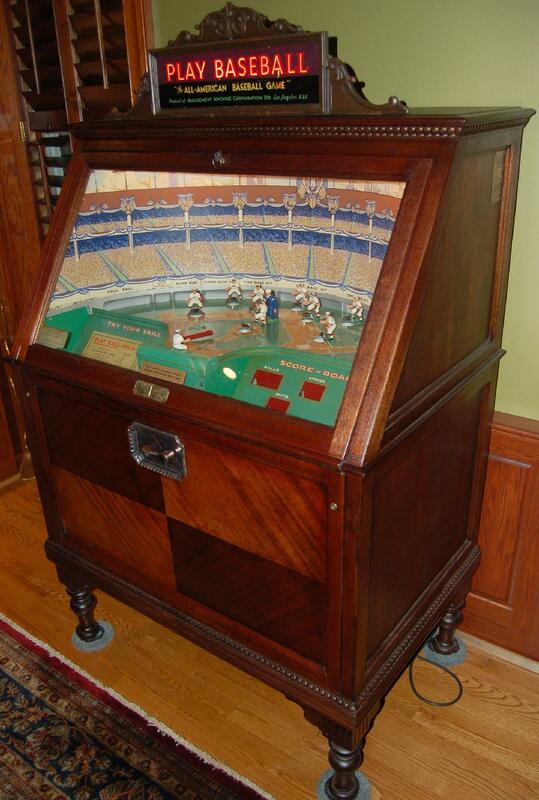 Rockola then produced the game as "World Series" in 1937.